42W x 9 3/4D x 28H Shown in linen finish Allow 8-10 weeks for production Accommodates TVs from 32 to 50-in. 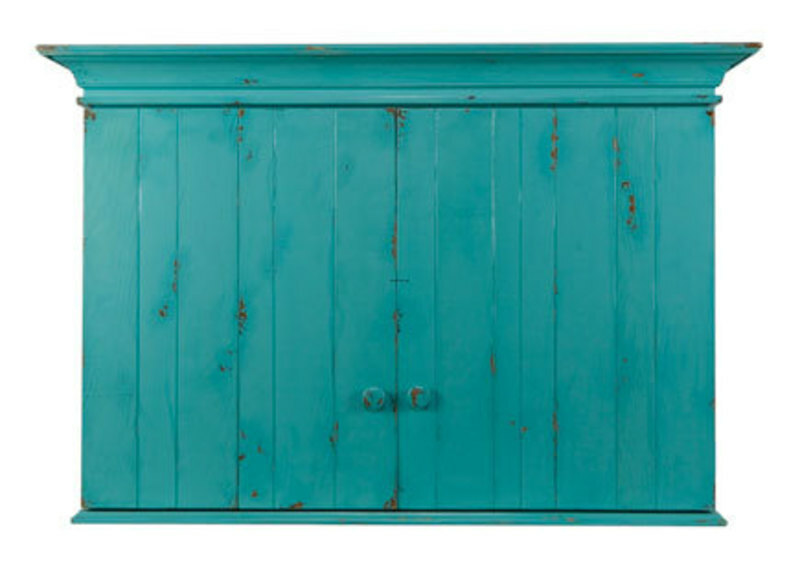 Flat batten board doors and wooden knobs give this piece an authentic, sun-aged appearance. This piece is handmade in the U. S.
using true historic mortise-and-tenon construction from solid American maple and poplar hardwoods. These richly layered and glazed pigments are water-based, making them safer for your home. I understand I am responsible for shipping charges at the time of delivery.